Rockstar Games has explained the mysterious Rockstar Pass along with official details on L.A. Noire's DLC. 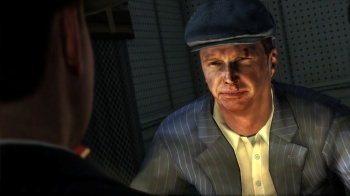 Before the release of L.A. Noire, mention of something called the "Rockstar Pass" was made in an Xbox Live release schedule, but when the game launched there was no such Rockstar Pass to be found. Rockstar has revealed that the Rockstar Pass is a very real thing and it'll give L.A. Noire players a discount on the game's DLC. Rockstar's first wave of L.A. Noire DLC will include four unique cases, two detective suits, and a collectible challenge. Each will be sold separately, but if players purchase the Rockstar Pass for its current limited-time price of $10 (which will go up to $12 after the current discount period ends), they'll get access to all of the DLC as it's released without having to put out another dime. The cases will be priced at $4, the collectible challenge at $2, and the suits at $1 each (convert to your favorite form of console funny money). Nabbing the Rockstar Pass now ensures a 50% discount. Considering this stuff is going up for sale anyway, that's not bad, eh? "Reefer Madness" DLC case - July 12.